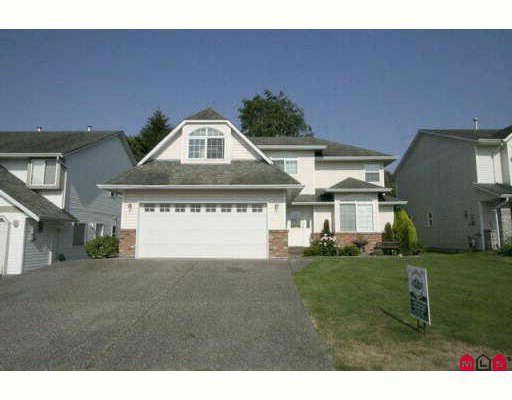 Very impressive 2 storey home in great area, within walking distance to school & recreation. Plenty of room for the family, with 4 bdrms plus a bonus room up. Formal living room & dining room on lovely laminate flooring. Family rm with gas fireplace off the spacious oak kitchen, with pantry, tile backsplash & tile flooring. Awesome private, fenced yard, you won't want to come indoors. Professionally landscaped, with underground sprinklers, a water feature, brick patio, a deck with hot tub, a separate insulated, heated room with 220 for?? Plus a storage shed. It's gorgeous! The master suite has walkin closet and a 5 pce bath. Most flooring and paint has been replaced & appliances have been upgraded.